"Gert" Garman is the owner of Broad Perspective, LLC. Previously, she was the Director of the Collaborative Design Center at Valencia College. Prior to that, she was a Creativity and Innovation Catalyst for Disney Destinations, where she facilitated brainstorming sessions and trained fellow Cast Members in Disney's Innovation Toy Box for the Disney Parks and Resorts worldwide. Gert has a long history of creating immersive experiences and breakthrough thinking results through her work with Orlando Mayor Buddy Dyer and as an Assistant Athletics Director for the University of Central Florida Knights. She is certified as a facilitator in the Creative Problem Solving (CPS), Think X, Four Sight and Five Faces of Genius processes. She regularly attends and speaks at the Creative Problem Solving Institute (CPSI), Mind Camp and the Florida Creativity Conferences. She graduated from UCF with a Bachelor of Arts in Journalism: Advertising/Public Relations. Tracey Powell, Vice President of Pricing & Revenue Management for Disney Parks, Experiences, and Consumer Products. 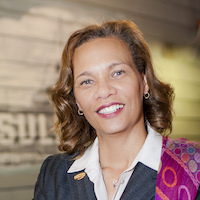 Tracey has led teams at Walt Disney World Resort, Disneyland Resort, Hong Kong Disneyland, and Shanghai Disney Resort. 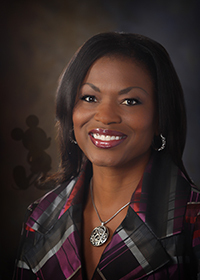 Throughout her 16-year career she has exemplified Disney's commitment to enriching the lives of young people, serving as executive champion for the Disney Dreamers Academy with Steve Harvey & Essence Magazine, as well as on the board of A Gift for Teaching in Orlando, Florida and on the board of Heart of Florida United Way. In 2017, she was a winner of Profiles in Diversity Journal's annual "Women Worth Watching" award. 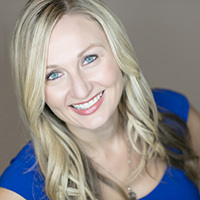 Megan Dowdy is a seasoned real estate broker, educator, and entrepreneur. A native of Orlando, she is one of its biggest promoters and is familiar with all that Orlando has to offer. She attended Lake Highland Preparatory School, obtained a business degree from The Calloway School of Business at Wake Forest University, and then obtained her Masters in Hospitality and Tourism Management from The University of Central Florida's Rosen College of Hospitality Management. 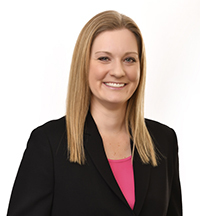 When she isn't representing clients in the purchase of real estate, Megan is teaching, as an Adjunct Instructor, at The University of Central Florida's Rosen College of Hospitality Management. 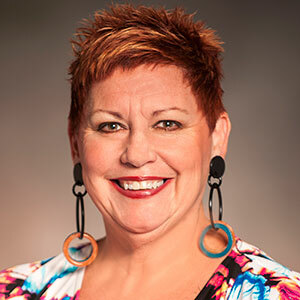 She teaches the future leaders of the industry numerous courses ranging from Guest Services Management, to Marketing, to Hospitality Communications. 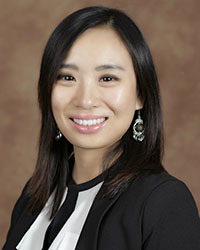 Dr. Wei joined the Rosen College as an Assistant Professor in August 2014. Dr. Wei's research interests include consumer behavior and psychology in cross-cultural settings, consumer experience with emerging technologies, and employee engagement and well-being. Her academic papers have been published by a number of premium peer-reviewed journals and conferences. Outside academia, Dr. Wei has gained industry experience both in the U.S. (hotels, restaurants) and in China (hotels, retailing, travel agencies, governmental office). Some of the honors that Dr. Wei has been awarded include the Recognition of Excellence in Diversity and Inclusion by UCF (2018), the inclusion in Marquis Who's Who in America (70th ed., 2016), Best Paper Awards at the International Hospitality Information Technology Association Annual Conference (2016) and at the Annual Graduate Student Conference in Hospitality and Tourism (2013), Purdue HTM Outstanding Ph.D. student Award (2013), the media recognition in Boilerplate of School of Hospitality and Tourism Management (Purdue University, Spring Issue, 2013), and a nomination for the Beulab Gillaspie Outstanding Master's Student Award (2010). Dr. Wei received her Ph.D. degree and Master's degree in Hospitality and Tourism Management from Purdue University. She also received her Bachelor of Science degree in Tourism Management from Northwest University, China. Katie is a 2005 graduate of the University of Central Florida's Rosen College. While in college Katie was on the opening team at The Ritz Carlton Orlando Grande Lakes in Front Desk Operations. Since graduating, she worked in insurance, banking, healthcare administration and strategic marketing and communications and community development. She began her tenure as President/CEO of the Greater Winter Haven Chamber of Commerce in March 2014. Her community involvement, volunteerism and work in hospitality, marketing and economic development is what led her to this position. She founded the Winter Haven Young Professionals Group, served as the Winter Haven Chamber Foundation president for two terms, graduated Polk Vision's Leadership Polk Class VI and chaired Class IX. She served on the Board of Directors for the Humane Society of Polk County, has been an employee campaign coordinator and young leaders society member for the United Way of Central Florida and was a charity volunteer dancer for the 2010 Polk Education Foundation Stepping Out for Education "Dancing with the Stars" style event and celebrity lip syncer for a Winter Haven Public Education Partnership fundraiser. 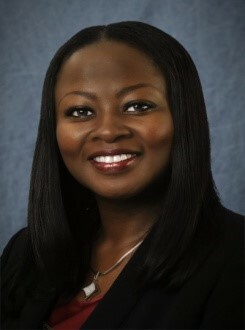 She also serves on the boards of Main Street Winter Haven and the Winter Haven Economic Development Council. Over the last decade Katie has discovered a true passion for developing Winter Haven and Polk County through servant leadership, ingenuity, partnership and giving back to the community that has provided her with so many opportunities to learn and grow. I am a party planner and I LOVE planning parties! I designed my first soiree at the age of 6 when I convinced my babysitter to help me plan and execute a surprise anniversary party for my parents complete with invitations (their closest neighborhood friends of course! ), decor (balloons, streamers and a home-made banner), wine (Asti Spumante…will never forget!) and hors d' oeuvres (pigs in the blanket if my memory serves). It was a great night! Since then, my love of event planning has grown and my taste for the details has matured (thankfully!). I graduated from the University of Central Florida with a degree in Business Administration /Hospitality Management and was blessed to be on the opening team of the prestigious Gaylord Palms Resort here in Orlando, FL. After 6 years of planning large scale corporate events I decided to follow my passion for planning weddings… and so became Blush! I am a mother to 3 stunningly beautiful little girls…Emma, Hannah and Lilly and wife to the love of my life, Ira. They are my biggest fans and I am blessed to get to live each day with them by my side! Precious G. Makuyana is a distinguished professional in tourism and travel, with extensive unparalleled experience, and international exposure attained from working for Airlines, Hotels, Entertainment, and Corporate Law Firms based abroad and locally. Precious is originally from Zimbabwe and has played a significant role in supporting local community developments, as well as a passionate volunteer through Forward In Faith Ministries. Precious attained a Juris Doctor in Law with Honors and is currently an Adjunct Professor teaching tourism and hospitality law, a Legal Environment Class at the University of Central Florida (UCF)-Rosen College of Hospitality Management. Her vision is to pass onto future generations the essence of true hospitality, a worthwhile brand image even in the age of remarkable technology, a legacy of excellence, and the relevance of responsible and sustainable development. Her love for tourism and hospitality is now amalgamated with her love for the law and justice that will enable her to integrate both experiences to advocate for sustainable policies for the benefit of all stakeholders and future generations.